The fallout from Bobbi Kristina Brown’s death continues to spiral into lawsuits, criminal investigations, and games Bobbi’s boyfriend, Nick Gordon, is playing in the war for Whitney Houston’s money. Cissy Houston reportedly collapsed after hearing the news of Gordon’s staged graveside visit. It’s not a surprise the Houstons are furious and fighting for the $20 million inheritance in response. Nick had been banned from seeing Bobbi after she was found unresponsive and face down in her bath tub on January 31. Gordon is currently under investigation for the death of Bobbi Kristina. Details from the multimillion lawsuit the court appointed conservator, Bedelia Hargrove, filed claim Nick knocked out Bobbi’s teeth, dragged her up the stairs by her hair, plunged her into the bathtub after giving her a toxic cocktail, and repeatedly stole money from Bobbi’s bank account; including an $11,000 withdrawal after she was in a coma. Nick Gordon has been building a defense, largely by stunts played out for press, and hired a legal team to defend him in court. In the initial days after Bobbi Kristina’s drowning, Nick staged a trip to rehab with the aid of Dr. Phil. Nick’s attorneys then shared several letters requesting Bobbi’s boyfriend be allowed to visit her in the hospital. Bobby Brown and the Houston family denied Nick’s repeated demands to see Bobbi asking Gordon to first provide a written account of what happened Bobbi Kristina Brown. Nick was banned from seeing Bobbi, but it was later discovered Gordon was at the hospital the day after Bobbi Kristina’s body was discovered. Images show Nick Gordon smiling as he wheeled a female friend, Danyela Bradley, from North Fulton Hospital – the same hospital where Bobbi Kristina was fighting for her life. After Bobbi Kristina Brown died, Nick used the same tactics to gain access to his girlfriend. Gordon’s legal team shared letters begging the Houstons and Browns to be allowed to attend Bobbi’s funeral. Again, Gordon was denied access. About two weeks after Bobbi Kristina was buried, Nick Gordon showed up for graveside visit that was widely publicized. Reports followed with images of Gordon weeping and laying his body across Bobbi’s grave. Nick Gordon then sold the images for a reported $40,000 to the National Enquirer. Upon hearing the news that Nick Gordon was still cashing in on Bobbi Kristina’s death, Cissy Houston allegedly collapsed according to Radar. “Cissy still can’t come to grips with ‘Krissi’ being dead — and when she heard Nick went there, she collapsed in grief. Both sides of the family, including Bobbi Kristina’s dad Bobby Brown and her aunt Pat Houston, are furious that Nick dared to go to the grave after he was barred from her funeral, and before then, from the hospital and the hospice facility where she eventually died,” the source told the media outlet. It’s pretty clear that Nick Gordon isn’t just building a defense…Gordon wants a portion of Whitney Houston’s money. Bobbi Kristina Brown did not have a will, which makes the legal process of handling the $20 million inheritance challenging. Each state law varies, and in this case it is likely Whitney’s will could dictate where the estate will go. If that is the case, Pat and Cissy Houston will get a huge payday along with Whitney Houston’s surviving brothers. However, if Nick Gordon has any sort of handwritten evidence that Bobbi Kristina had different intentions for her inheritance, he could fight for the money. You can bet the Houston family is furious and plans on fighting for Whitney Houston’s money. Don’t rule out the Brown family. They have been quiet following the death of Bobbi Kristina, except for Bobby Brown’s trip to a comedy bar in California where he posed with fans for photos just one week after his daughter died. What do you think will happen in Nick Gordon’s criminal investigation? 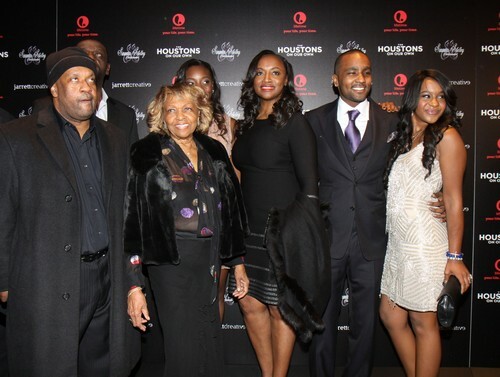 Will Nick get his hands on Bobbi Kristina Brown’s inheritance from Whitney Houston? Let us know in the comment section below. Bobbi Kristina Brown Death and $20 Million Inheritance Struggle – Nick Gordon Claims Portion of Whitney Houston’s Money?